KickShark, Inc., a Tennessee product development and technology accelerator company, announces that its HydraDock 13 port USB Type C dock has today become the world’s first standards compliant USB 3.1 dock or hub product to actually begin shipping to customers. All input and output connections of the 13-port HydraDock are fully compliant with the newest USB standards for data, power, configuration, and alternate mode operations. 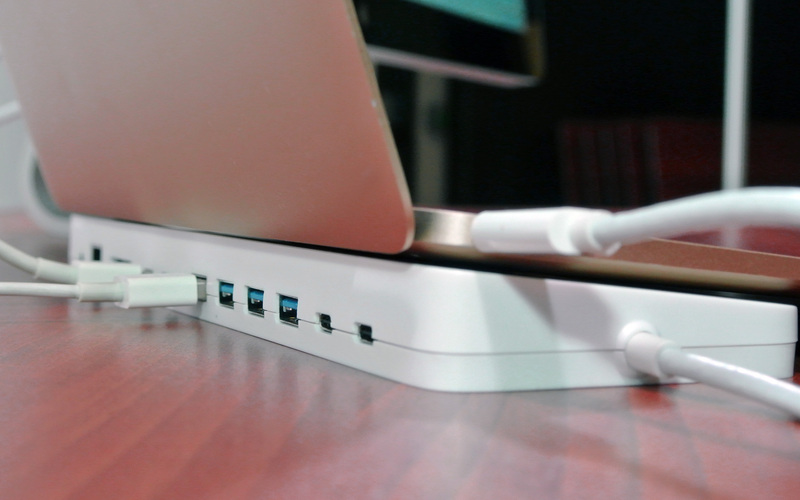 HydraDock sits under or behind the notebook, plugs in with its single cable, and is powered by the computer’s USB-C AC-DC power adapter. It can also operate just from the computer connection, without a power supply. HydraDock powers 4K displays by Mini DisplayPort or HDMI (including HDCP copy protection), two USB-C USB 3.1 ports and four USB Type A USB 3.1 ports (all at 5Gb/sec. speeds), SDXC cards up to 260MB/sec, Gigabit Ethernet, CD-quality stereo audio input or output — all without shortcuts, using state of the art fully standards compliant USB components and circuitry. 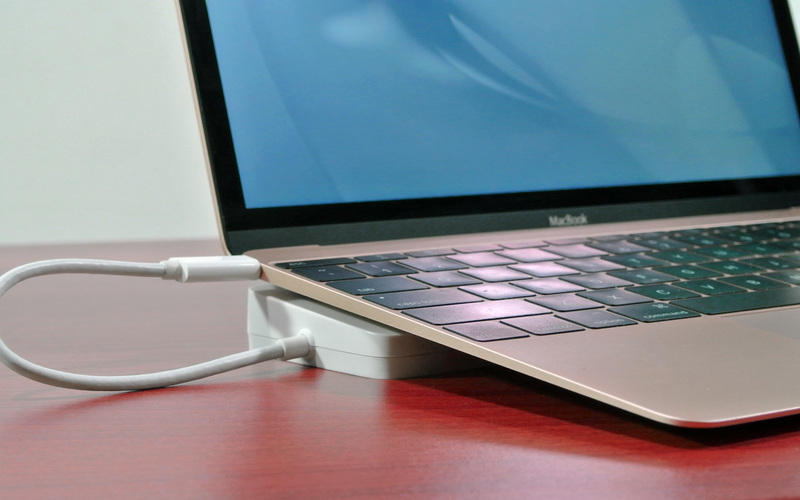 It also has a USB-C cable to the notebook, and a USB-C power input jack. HydraDock is fully explained on the product web site at http://www.hydradock.com. And, discounted pre-orders can be placed on the HydraDock web site for February 29th shipment from our second production run. The entire 1,500 piece pilot production run has been sold and is shipping to customers now. KickShark, Inc. is a Tennessee social enterprise company engaged in developing and marketing amazing new products, often including online crowdfunding campaigns.